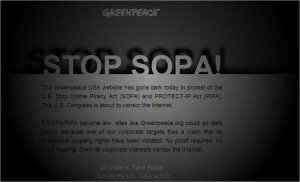 A nice chunk of the internet has gone dark today in protest of the SOPA legislation which is up for a vote and is fervently backed by the MPAA (Motion Picture Association of America) and RIAA (Recording Industry Association of America). It’s nice to see so many sites up in arms about this legislation and I hope it has an effect. I’m afraid that it’ll be like the healthcare bill that was jammed down our throats; keep trying until you get it. 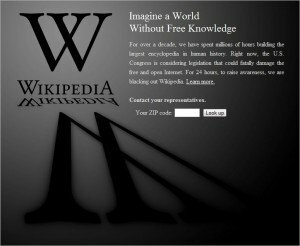 I’m sure someday something like SOPA will be passed into law. 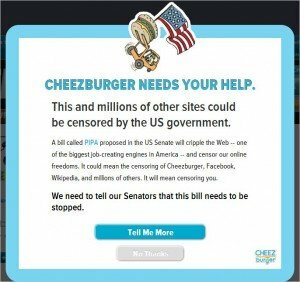 They’ve been trying for MANY years to get the ability to censor the web. It’ll be a sad day when the government is given carte blanche to take down sites without due process. SEOMike is fully opposed to SOPA, ProtectIP and any other attempt to censor the wonderful, wild internet. 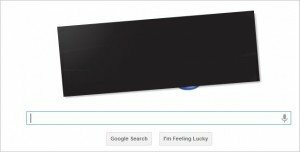 Thousands of websites are protesting today by “going black.” Below are some screenshots from a few notable sites.